It looks like Russell had no problem adjusting to life as a beloved family pet! 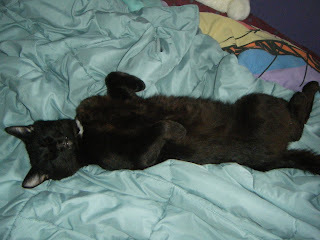 His new family said they love him and also noted he is the first cat they have ever had that sleeps on his back. Yay for Russell!